We are creating and funding innovative programs with our partners. The Foundation has partnered with Tower Cancer Research Foundation (Tower) to establish two $500,000 five-year Senior Investigator Grants focused on innovative breast cancer research. Our first five-year, $500,000 Jessica M. Berman Memorial Fund Senior Investigator Grant was awarded in April 2015. We received 26 submissions for this grant, by an impressive list of world-class scientists and doctors, representing the leading research institutions in Southern California. Each of these submissions were worthy of our funding, but after a thorough discussion and debate amongst Tower's Scientific Advisory Board, we selected Dr. Richard Pietras of UCLA, Division of Hematology/Oncology, for his work on next generation estrogen receptor downregulators for breast cancer therapy. In May 2016, we awarded our second $500,000 Senior Investigator Grant. We received 23 high caliber submissions for consideration and after consultation with Tower’s Scientific Advisory Board, we selected Dr. Michael Press of USC's Norris Cancer Center for his work to develop a biomarker needed to establish cancer susceptibility to a new agent that directly targets cancer cell division in breast cancer patients. The Foundation has also committed over $100,000 to breast cancer patient support services. To that end, in 2016, the Foundation allocated $90,000 to Camp Kesem to fund two new Camp Kesem Chapters at Loyola Marymount University and University of Nevada, Las Vegas as well as $10,000 to Our House Grief Support Center. Tower provides grants for clinical trials, innovative research, caring patient support and community education, primarily in Southern California, to promote more effective treatments for cancer and blood disorders. Tower's legacy of supporting high impact research and clinical trials includes research that has resulted in the approval of 15 new cancer drugs and the expansion of treatment options for cancer patients all over the world. To carry on this tradition, each year Tower awards a multitude of scientific grants from one year $100,000 Career Development Awards to five year $500,000 Senior Investigator Awards to multi-year $1,000,000 Discover Funds. Tower has developed a stellar reputation for professionally vetting research programs and maximizing the impact of donor-investors, regardless of the size of the investment. Many of the talented, young physician scientists that Tower funded in the past have gone on to receive additional multi-year grants for the development of new treatments. Since 2006, Tower has invested in the unconventional ideas of 34 young scientists. 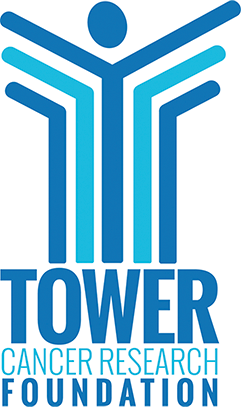 The results of their research attracted additional funding making Tower's initial investment of $2.5 million grow to nearly $35 million. 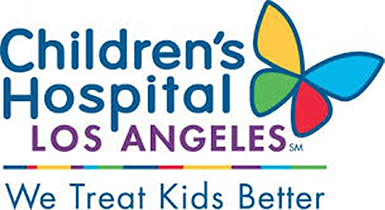 In July 2015, the Foundation contributed $67,500, which when combined with a partial matching of funds from Macquarie Group Foundation, led to a $100,000 donation to Children’s Hospital Los Angeles (CHLA). Of this amount, $25,000 was specifically directed to the Neuromuscular Chair endowment, led by Dr. Robert Kay, Vice-Chief of Children’s Orthopedic Center and Director of CHLA’s Neuromuscular Program. The balance of the donation went into CHLA’s general fund. CHLA is a nonprofit institution that provides pediatric health care to more than 107,000 children each year in a setting designed just for their needs. Its campus is home to medical experts who have developed more than 350 pediatric specialty programs and services to meet the needs of its patients. CHLA is a provider of more than $125 million in community benefits annually to children and families. As the first and largest pediatric hospital in Southern California, CHLA relies on the generosity of philanthropists in the community to support compassionate patient care, leading-edge education of the caregivers of tomorrow and innovative research efforts that impact children at its hospital and around the world. 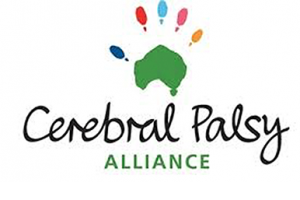 The Foundation has forged a relationship with Cerebral Palsy Alliance Research Foundation (CP Alliance). As part of that, David Berman, the Foundation's Chairman, joined the Board of Directors of CP Alliance in June 2016. CP Alliance is an organization that provides family-centered therapies, life skills programs, equipment and support for people living with cerebral palsy and their families. CP Alliance’s priority is to help babies, children, teenagers and adults living with cerebral palsy lead the most comfortable, independent and inclusive life possible. Their therapy teams work with individuals and families to maximize their participation in the community. To ensure people with cerebral palsy have access to high quality and innovative services and programs, CP Alliance provides professional development and training for employees within the disability sector. They also fund important cerebral palsy research through their Research Foundation. Jessica Berman Foundation board member, David Berman, serves on the board of the Cerebral Palsy Research Foundation. In 2016, the Foundation allocated $90,000 to Camp Kesem. Camp Kesem is a year-round volunteer organization that creates, manages and runs life-changing camp programs to support children through and beyond their parent’s cancer. The grant enabled Camp Kesem to fund new Camp Kesem Chapters at Loyola Marymount University and University of Nevada, Las Vegas as well as supported the expansion of Claremont McKenna College’s summer 2016 camp, doubling the number of campers able to participate.